Someone is terrorizing the beach. 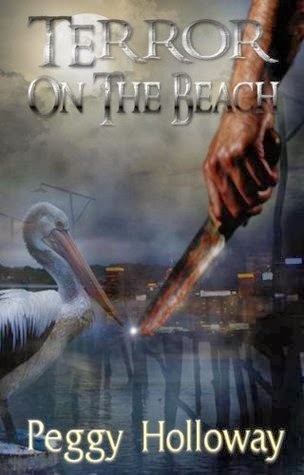 They're calling him the Beach Front Stabber. Sarah lives on the beach and but isn't worried since her boyfriend is the sheriff. But then she discovers someone is trying to frame her for the murders and trying to make her think she is going crazy. No one believes her. What can she do? When I found started this novel, I was unaware that it was actually the third book in an already established series. However (thankfully), this novel can (and does) act as a completely stand alone novel. This book is not for everyone. On the plus side, there was a bit of mystery and some pretty unpredictable plot twists, which kept my attention and kept me reading, however on the whole this book felt that it was lacking. The writing style was choppy (it often reads more like it was written by a younger author), some of the subject material will be uncomfortable for readers, and the last few chapters of the book didn't really seem to fit in with the rest of the novel. On the whole, it was ok for a first time read, but I won't be re-reading it, and its doubtful if I will read anything else by this author.